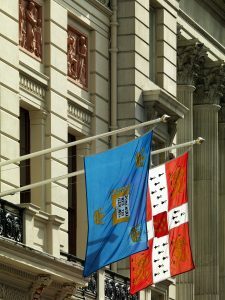 The Oxford and Cambridge Club is a members’ club. To be considered for election to membership, an eligible candidate must be proposed and seconded by existing members, known personally to the candidate. On receipt of a completed application form, the Membership Department will ask that candidates contact their College or Hall and request verification. The form will then be passed to the Committee. The Committee may then direct that the candidate’s name be entered in the candidates’ book. This gives other members an opportunity to indicate their support for the candidate. After not less than 20 clear days (usually a month), the Committee decides whether or not to elect the candidate. So, in order to apply for membership a candidate needs to complete an application form and find two current members who are willing to act as proposer and seconder. The Membership Department is available to assist candidates who have difficulty in locating a proposer and seconder. If elected, the successful candidate’s membership becomes effective on payment within 20 clear days of the first year’s subscription, (if required) an entrance fee and, in the case of a UK candidate, provision of a direct debit mandate for the payment of future subscriptions. If these conditions are not satisfied, the election lapses. Further details on the Club may be found in this site. If you require additional information or clarification regarding the election process, please do not hesitate to contact the Membership department on membershipadministrator@oandc.uk.com. Currently, there is no waiting list for either UK or overseas membership. Please complete and email to membershipadministrator@oandc.uk.com. To request the form to be sent to you via post, contact the Membership Department on 020 7321 5110. You will need to have your application proposed and seconded by two current members. Both your proposer and seconder will need to sign your form before it is presented to the General Committee. After completed applications have been received, candidates’ details are entered into our Candidates Book. Election should then take place approximately one month later, if a place is available. If a waiting list is in place at that time, a candidate would be placed on the waiting list and be informed once a place becomes available.